there are aspects to a car's development that are common across both drivers which favour a particular driver or driving style. Whilst set up is as per the driver, aero and engine in particular can (and is) developed around one driver. Good point. I recall a similar issue at Red Bull during that era when an aero inconsistency was identified which Webber could happily drive around but Vettel found disturbing. Resources were devoted to quickly fix the "problem" which was affecting their preferred driver. How do you know its not all coming from the same dodgy source? And if the local media is saying $35m then its $AUD, which right now is only $US25.6m, €22.3m, or £20m. As i thought might be the case. The instance that you are talking about, was at the beginning of 2012 season. 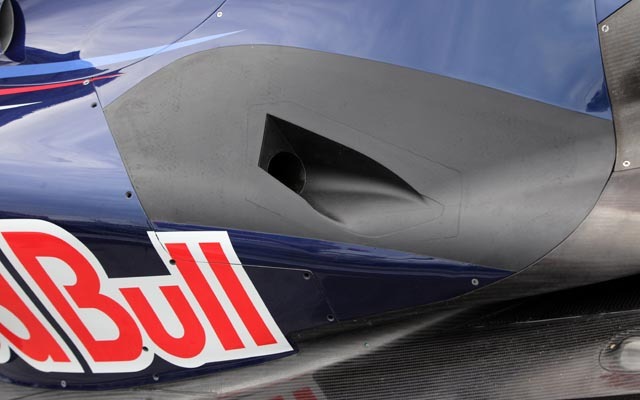 After the EBD was banned and the exhaust positioning was changed, RB8 was struggling with rear end instability. The so called "Webber could happily drive around but Vettel found disturbing", lasted for 3 GPs. By 4th race of the season, Vettel bolted the RB8 on pole and after that, Vettel was largely ahead of Webber throughout the season. Besides, Webber didn't do particularly great in those first 3 qualifyings of the season either and only qualified 5th, 4th and 7th respectively. If anything, having dominated 2011, Vettel's rhythm got thrown off with a car whose behavior was drastically different than the predecessor. It can happen to any driver. When the car got great rear end stability, which every driver wants, Vettel was ahead of Webber. Anyone can drive a good car. Good drivers can drive any car. Sensitive drivers can only drive good car. Bad drivers can't drive any car. Every team tries to build a Good Car and not one that suits A PARTICULAR DRIVER. It's just that, sometimes when there is a deficiency in a Good Car, it requires a Good Driver to overcome that deficiency and get the car to do what he wants. Webber was just a useless driver and I say this, because he couldn't do much with RB7, which was probably one of the Greatest cars ever designed and got beaten to second place by a Great driver driving much less than a Good Car. Relative to Alonso and Hamilton, Vettel is a sensitive driver (not in the league of Kimi, far less) and need the car to be in a great place and if it, then he is as good as Alonso and Hamilton. Alonso is better than Hamilton in that sense and can quickly adjust to any problematic car. So, it becomes easy for a team to explore all areas of performance when they have a driver like Alonso, where they don't have to be bothered by the driver's potential limitations and can push the envelop of design (it's another story that he has landed in bad cars). The summary is, teams design a fast car and expect their drivers to get adjusted and drive it. Whoever does it better, team tends to listen to their feedback more and from that sense, that driver would have a greater say in the development direction. Once the team fixed the rear end instability of RB8 and the car became a race winning car, who won the races and championship? I believe what seperates great drivers from good drivers are drivers who are able to adapt to the car, able to adapt to conditions quickly and still have the confidence and have the same speed. Fernando and Lewis are those type of drivers. Wasn't 2012 the year we had 7 different race winners in as many races or something like that due to the lottery that was the tyres? I don't think we can draw any conclusions based on the start of that season!! Again, there's a difference between preferential treatment (aka "favoritism") where the team might see its best chance in winning a championship by backing the stronger driver, or out right prioritizing one driver over another because... he's nicer? Younger? The chosen one? The golden boy? More marketable? To suggest they altered the characteristics of their car to suit one driver more so over the other is absurd. They altered the characteristics of the car, because they saw a clear development path, they were able to maximize an area of the car that would gain them a significant performance boost relative to their competition. Arguably, this helped Seb as he drove masterfully with this car, but to suggest they did it because of him when being faced with the prospect of winning their very first championship with either driver is well... it doesn't make sense. A team wouldn't hurt its own chances to put one driver ahead of another. Yes, there were cases of favoritism that even I as a Webber fan at the time found disappointing (more in how much support I perceived Webber to get), but there are always two sides to every story and over the years, I have come to appreciate RedBull as one of those few teams who have offered equal opportunity to both drivers. It's not RedBulls fault that Vettel was stronger with the development path of the new RedBull. Even as a Webber fan, one has to accept the reality that some cars suit certain drivers better. I am of the belief that Webber was stronger when the car didn't entirely suit Vettel, but he was also more prone to mistakes. It's just how it is. But in the end, people or fans will just see what they want to believe and will find arguments to support their kind of narrative. Even with Dan and Max - Max is simply quicker most of the time, especially one-lap pace. I wouldn't say he is necessarily better, just that Max drives with more risk with potentially higher rewards but at the expense that he is also more prone to mistakes. Dan, IMO drives with more margin, so he might miss the occasional tenth against Max. Max is undoubtedly very talented and has a lot of raw speed, but it doesn't mean he will always be faster. Maybe he just deals with the characteristics of the RB14 better. As of next year with new front wings etc, who knows? You can't compare drivers over different cars. Perhaps over the years, an image does emerge which drivers constantly perform well over both difficult to easy/planted cars. Remember the multi 2-1 incident, Webber made a comment about not expecting much to come out of it, he said Seb will get protection. It's pretty clear as day that Christian isn't remotely in charge at Red Bull, it's Marko. Christian came on the radio during that incident saying Seb, this is silly, but he still didn't obey the order. That's the discomfort that was faced by Webber and now Ricciardo. Red Bull always show their favouritism when incidents occur. It beggars belief how they initially blamed Webber for the Istanbul incident in 2010. Then in Baku this year, they blamed both drivers for the crash, even though the defensive tactics by Max were questionable. I chuckled to myself when Marko was sharing the blame in percentages. I appreciated when Ross Brawn said Ricciardo was a mere passenger in the incident due to the wake off Max's car due to his multiple direction changes when Ricciardo was in his slipstream. So for me, I think that would have played a part in Ricciardo's decision, they will always protect Max and defend him to his own detriment. In Baku he actually wasn't faster, he just had that gigantic tow every lap. In Monaco he was the frontrunner with a damaged engine he couldn't even be passed (not even an attempt was made) be Vettel. Max was starting death last due to the qualy --- up and came through the pack until told to stop overtaking (Sainz was the last one) which also was neigh on impossible. Kinda hard to say who outraced who there, in fact Ric couldn't even really race as his engine was giving him troubles (and he was just trying to manage thee win which he did brilliantly). He had the best possible result there, but saying he was faster as in running faster around the track, pulling a gap is a bit out of the picture due to the circumstances (monace & engine trouble). I too haven't seen a race yet this season where Ric struck me as quicker, every time when I do see Ric approach (france f.e.) during (part of) a stint it is for a reason (tire strategy) but once both are in similar circumstances Max is just that bit quicker. Baku, Monaco?! Give me a break! RB have confirmed Max was faster in Baku and only came to DR due to being blocked back by Hamilton. Watch the race again please. Monaco? Being faster due to the other one starting from the back is really a measure of success. Not to say that DR only ONCE outqualified Max on merit this season. The wrighting is in the wall. Becoming #2 driver was inevitable and running away was the best possible option to keep himself in limelight for future better deals. Remember the multi 2-1 incident, Webber made a comment about not expecting much to come out of it, he said Seb will get protection. It's pretty clear as day that Christian isn't remotely in charge at Red Bull, it's Marko. Christian came on the radio during that incident saying Seb, this is silly, but he still didn't obey the order. Was Webber crucified for what he did to Vettel in Brazil 2012? It was the last race of championship and the team had clearly discussed with Webber to help Vettel whenever the situation arises in the race as Webber was not in contention for the championship anymore. But instead, he chose to squeeze Vettel to the pit wall and overtook him at the start. That pissed the entire management. Maybe in Webber's mind Brazil 2012 was payback for Istanbul 2010, or Silverstone front wing-gate, or Abu Dhabi 2010 Championship decider. Maybe Ricciardo's end game is getting into a Mercedes or Ferrari for 2021? 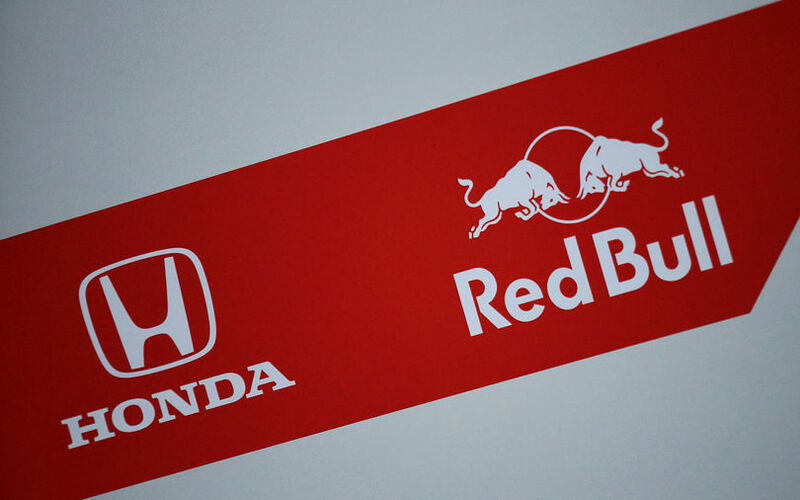 Maybe he believes Red Bull can't win the championship with Honda in 2 years, he may believe they'll be 3rd again. So why not spend the next 2 years with Renault works team, new challenge, new environment etc. When Weber said during an interview that Sebastian was "like a computer", that to me was the moment that Mark openly admitted that he was not as good as Sebastian.